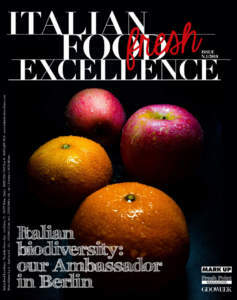 The summary which tells the story of the enterprising company F.lli Aprile of Scicli (Ragusa), located in a part of Sicily recognized by Unesco, goes from the production of olives and extra virgin olive oil for local consumption until its entry in the national and international market of high quality products. 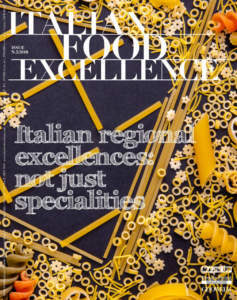 The company was started by Vincenzo and Teresa Aprile in the Sixties of the last century and has been given a radical change when their two young sons, Roberto and Daniele, began their activity in the early 90s. They decided with perseverance to bet all their energies and resources in their family activity and have been able to combine in their company the best existing technologies with tradition and knowledge gained over the years. Five oils are now on sale all over the world: the intense fruity ‘Valle dell’Irminio’, the medium fruity ’Agathae’, the delicate fruity ‘274°’, and the special selections ‘L’Incanto’ and ‘Sesto’. The 274° is a delicate fruity oil, derived from pressing olives of Biancolilla cultivar. It is appreciated for its organoleptic characteristics, which meet everybody’s taste. Its colour is golden yellow with green reflections; its scent is very persistent, characterized by fragrance of olive with strong hints of fresh grass, thistle, basil, and green tomato, while its taste is delicate, harmonious, balanced, pleasantly spicy and bitter, with aftertaste of sweet almond and hints of herbs. Daniele Aprile tells: «274° was born about 8 years ago, by chance, in a moment of ‘madness’. We aimed at creating a charming product, able to arouse curiosity and stand out among the countless bottles of oil on any shelf, communicating at the same time a message of freshness and modernity of our company». The origin of this name refers to the 274th day of the year in which the harvesting of olives for producing this oil begins, which corresponds to October the 1st: this is the beginning of a new adventure, a discovery that regularly repeats itself and gives birth to an extra virgin olive oil unique in the world, produced in about 30,000 bottles a year and exported in USA, Japan, Germany, Switzerland, Sweden, and Belgium. 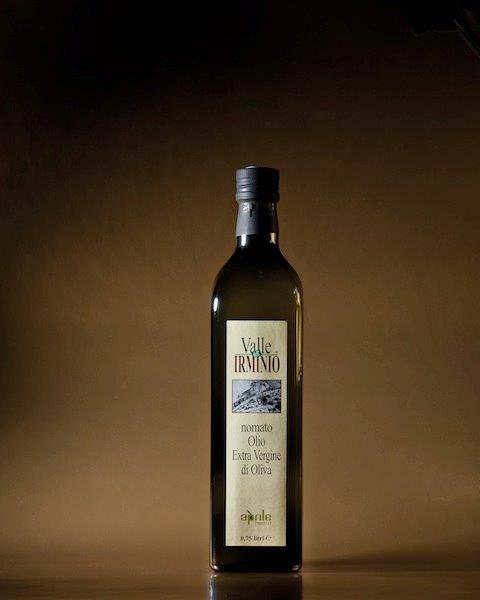 Valle dell'Irminio, however, is the first oil produced in this company and strongly linked to its land, as its name recalls the river which runs in the province of Ragusa and flows in the area of Scicli. 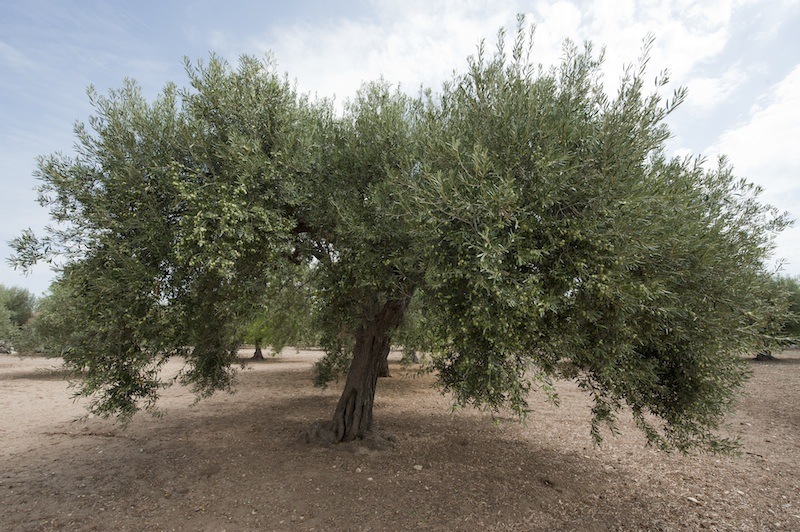 It is produced in 7,000 bottles a year thanks to the olives of Cetrale cultivar. Its colour is deep green, while its scent is very persistent, characterized by clear fragrance of green tomato and fresh grass and leaf. Its taste is full and intense, harmonious, balanced spicy and bitter, with aftertaste of artichoke and spices. It is suitable raw for refined courses of red meats, roasts, legumes, salads and raw vegetables, and sweets with ricotta. 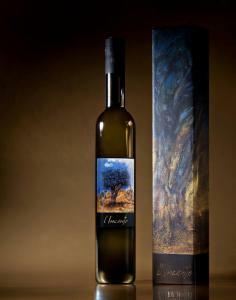 L’Incanto comes from a study which lasted five years, aimed at identifying 25 plants which, thanks to their location, soil, microclimate, and Cetrale cultivars, allow creating an exclusive and unique oil. 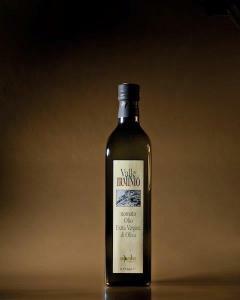 It is produced in limited quantities (about 300 bottles per year), and each bottle is numbered. Its colour is yellow gold with green reflections, its scent is very persistent, characterized by clear fragrance of olive with strong hints of green tomato and fresh cut grass. Its taste is intensely fruity, balanced spicy and bitter, sweet, velvety, round, suitable raw for refined courses of raw fish, meat, roasts, salads, and fine pastries. The export of these three products, required by specialized buyers, restaurants, and high level food chains, reaches 70% of the company production and is directed mainly in the USA, thanks to importers and distributors’ care. 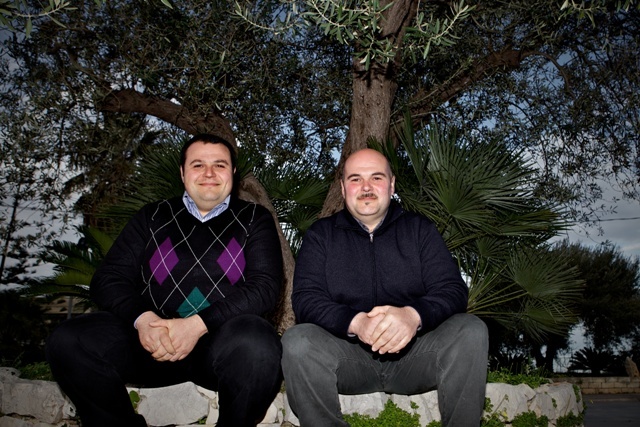 Roberto and Daniele Aprile tell: «From 1998 onwards, when our oil Valle dell’Irminio was awarded the prestigious international 1st prize ‘Leone d’Oro’ at Vinitaly in Verona, for us it was a succession of awards and acknowledgements, which led us to represent the best of Made in Italy and Made in Sicily. 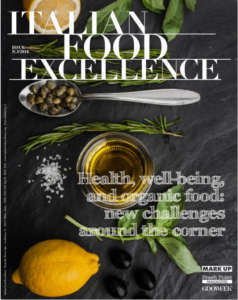 We want to continue on this path, aiming at reaching new markets, expanding the existing ones, spreading thought and guaranteeing right information on extra virgin olive oils, allowing always new consumers to appreciate them. In this context, packaging is very important for us, because it gives the first impression to the consumer and is the first way we have for communicating our philosophy, aimed at a real excellent production. For this reason we have invested a lot in packaging, which is carried out by means of semi- handcrafted methods, by using the best technologies in order to safeguard the quality of our oil. 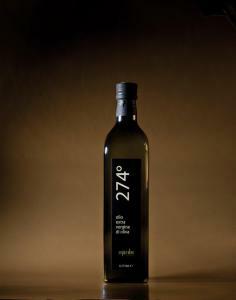 274°, for example, presents itself in an elegant, expressive, modern, fresh, and appealing packaging, which arouses much curiosity already as for its name. 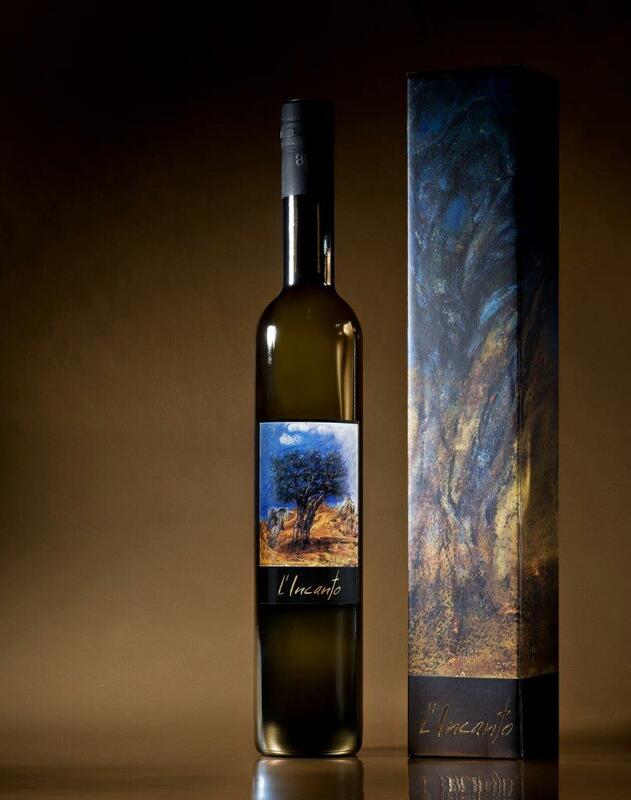 The packaging of Valle dell’Irminio is a little more classical and serious, with the typical colours of our land, while for L’Incanto we thought to a more philosophical packaging, expression of the elective affinities proposed by the master Franco Polizzi, one of the artists of the School of Scicli, who created the work shown on the label».